UN-Habitat recently invited Dr. Michael Boswell to participate in an expert group meeting on 'Guidelines for City Climate Action Plans', taking palce in Oslo, Norway in conjunction with the 2015 Cities & Climate Change Initiative Advisory Committee Meeting. Dr. Boswell recently authored the leading text on Local Climate Action Planning with CRP faculty member Adrienne Greve and subject area expert Tammy Seale. More on their book can be found at climateactionplanning.com or from the publisher at Island Press. One Wednesday 2/11/2015, from 11am-noon, CRP & RCRI welcome Dr. John Gilderbloom for a lecture entitled, "The 10 Commandments of Urban Regeneration" in the Dexter Fireplace Room (Building 34, Room 210). Dr. Gilderbloom is an expert in sustainable urbanism and has published widely in the areas of housing, community development, sustainable design and livability. He has been listed a top urban thinker by Planetizen (http://www.planetizen.com/topthinkers). For more information on the program or to watch videos about what planners (and our students) do check out our Google+ site. 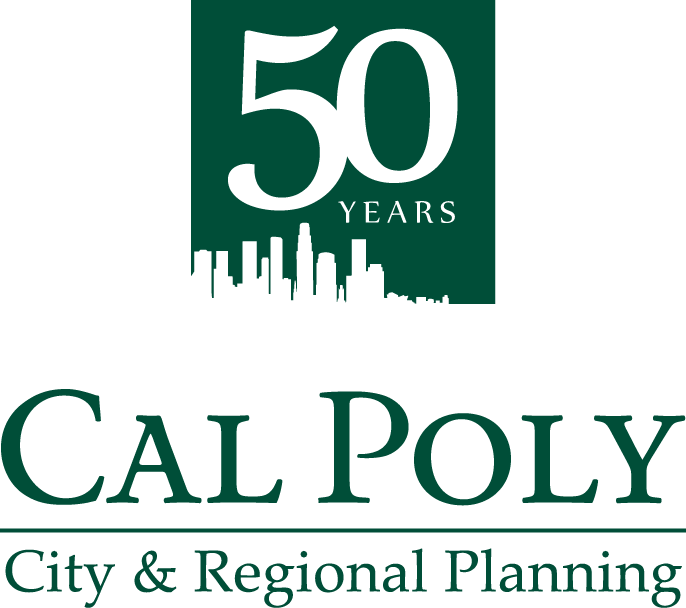 Cal Poly's City and Regional Planning has won four annual awards for the project "Urban Design Visions for the City of Milpitas, CA" (CRP 341 Urban Design Studio III). The project received three awards in 2014 from the American Planning Association (APA): the Academic Award of Excellence from both the Northern and the Central Coast Sections, and the Award of Merit from the State Chapter. In 2015, it received the prestigious national Honor Award from the American Institute of Certified Planners (AICP). These awards showcase excellence in urban and regional planning over a variety of categories and are highly competitive. Winning is truly an accomplishment to be proud of. In the case of the AICP, it was the first time that an undergraduate project had won the award! A video of the student work is available on our YouTube Channel. A links to view the awards website and all the award winners are provided below.